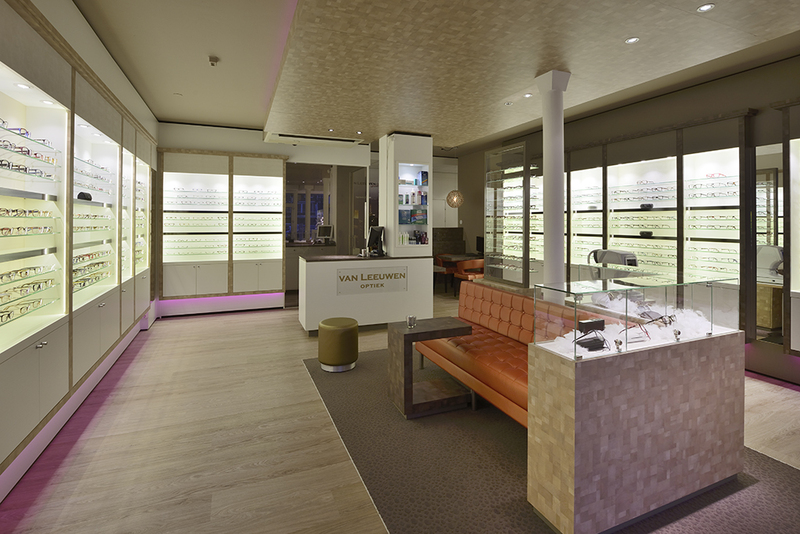 The presentation of frames reinforces brand experience, shop experience enhances ambiance. 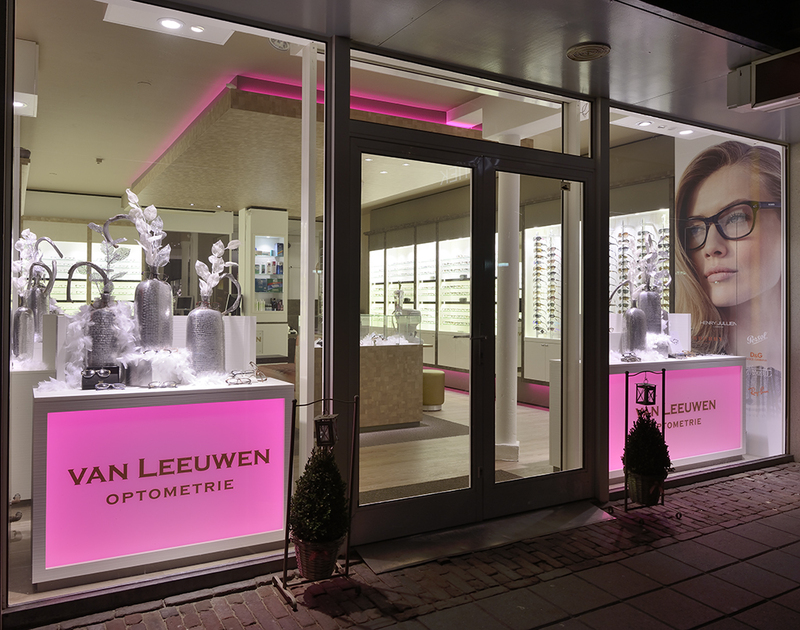 In the Dutch opticians sector, the Van Leeuwen Optiek shops in Bodegraven, ’s Gravenzande and Sliedrecht are going strong. 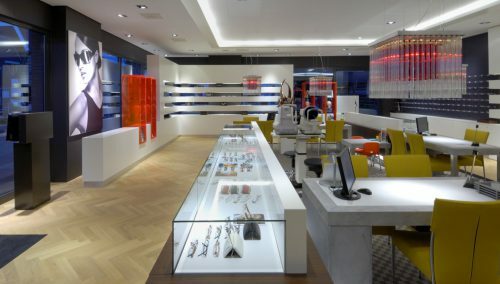 They have personal attention for the frames range, the frames presentation, the glass technology, the customer’s styling. 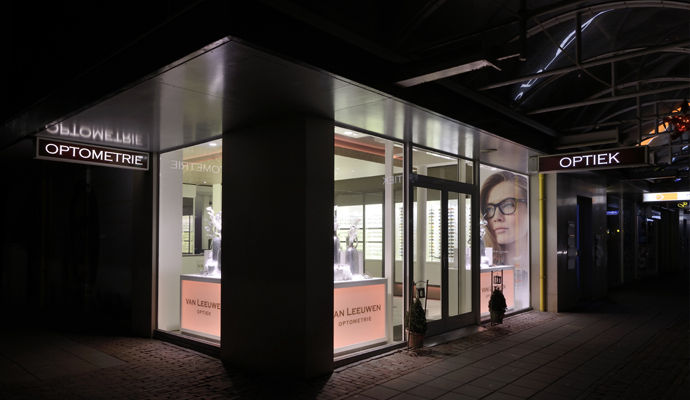 The collaboration with Van Leeuwen Opticians is very good. Retail is in their blood, and they have an eye for detail: ceiling height, seating comfort, discerning shop experience. The shop was completely overhauled: The routing and the location of the refraction spaces was rigorously changed. The old shop front was not attractive. I convinced Van Leeuwen Opticians to invest in that too, as this will really pay off. There is special attention for the coffee and tea culture in the shop, pleasantly extending the visit duration of customers. The applied materials are contemporary but warm, and we applied some colours. After all, that’s more visual. 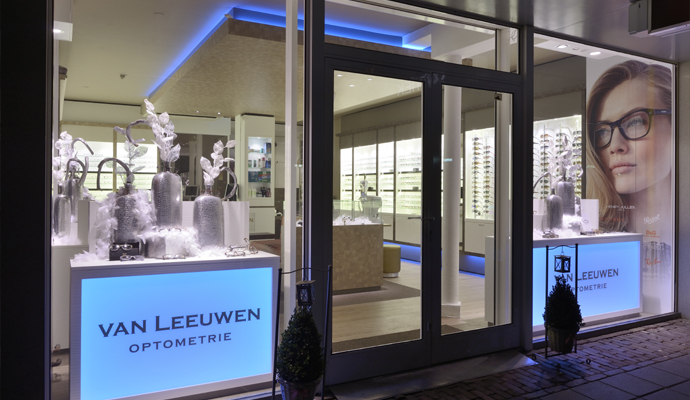 We achieved a commercial result with lots of fun and positive energy, and we expect Van Leeuwen Opticians will feel that for many years. 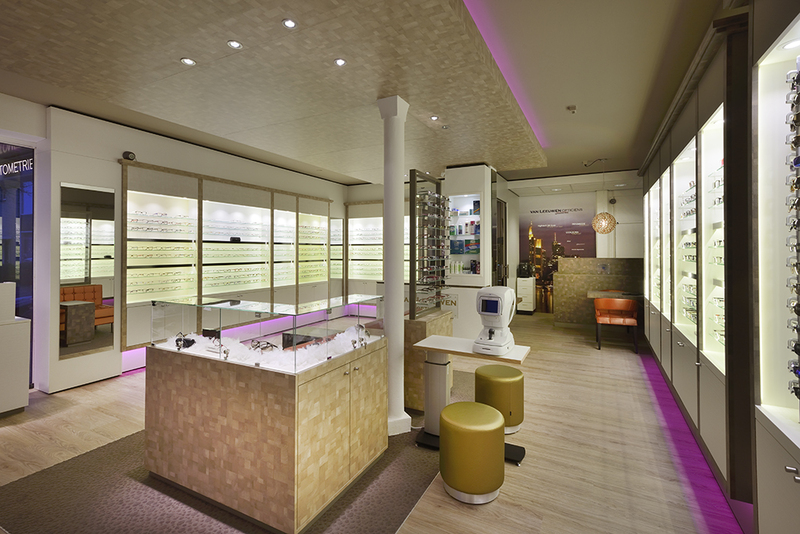 Combining your 2025 vision with in-store experience? Get some inspiration on our website or call us for a talk with our retail design department.